1. Rainy days do not spoil the mood of the citizens: in Tel Aviv there are 300 days of sunshine a year. 2. This means that locals and tourists spend a lot of time outdoors. There are 13 official beaches with a total length of 14 kilometers, which annually welcome 8.5 million bathers. Those who do not like to splash in the water, spend time playing matkot - Israeli kind of beach tennis. 3. The best way to see the city is to rent a bike. In Tel Aviv, there are more than 150 bicycle rental stations. 4. Tel Aviv is fully consistent with the image of European cities: no one cares what you are wearing, what you do and where you are going. People with stroll along the promenade to his yachts in conventional rubber slippers and shorts, on the lawns of Jaffa Arabs smoke hookah and dance. 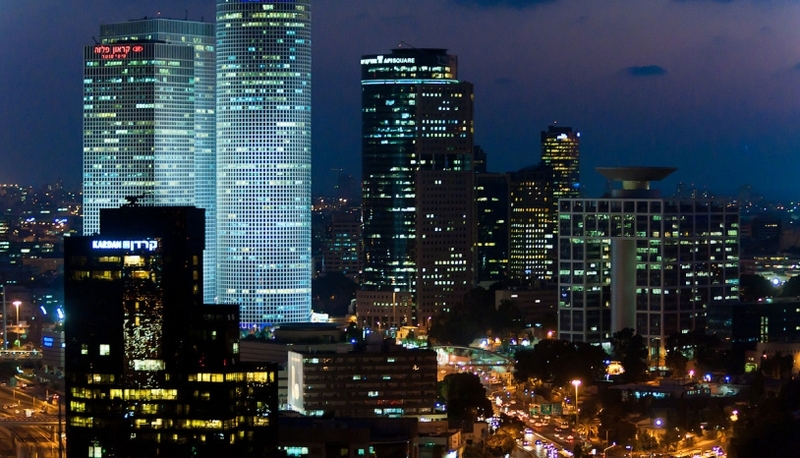 A city of contrasts, as well as any energy-rich city of Tel Aviv makes a good impression in its strange harmony. 5. 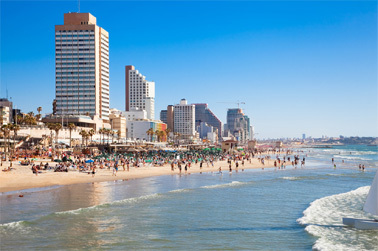 Tel Aviv is often called the Miami of the Middle East, because it hosts the world's best parties. Shabbat begins on Friday, so the biggest crowds gather in clubs on Thursday night. Not surprisingly, it is also called the city that never sleeps. 6. You can walk along the city for days. Fortunately the organization of streets and city size allows it. But it is important to take a map and comfortable shoes. Going from the old port north of Tel-Aviv Jaffa to the south of the city is a 40 minute easy stroll. 7. The locals work as much as they party. The Tel Aviv University, the largest in the country, occupies the 168th place in the ranking of the best universities in the world according to Wikipedia version. Recently its experts have found what mechanism is responsible for the emotional distress caused by the loss of sleep, and proved that sunscreen is killing coral reefs. 8. The Israelis are not drinkers. They mainly drink local beer (Maccabee, Goldstar, Carlsberg), wine, sometimes whiskey. Although the bars, of course, you can find absolutely any drinks, and in any combination. After 11 pm the sale of alcohol is prohibited in supermarkets and kiosks.